If you’re looking for a high-level estimate, we’ve put together a few rules to follow that can help you determine a rough estimate for the cost of your pallet racking. All Selective Rack, Drive-In Rack, Double Deep Rack, Push Back Rack, and Pallet Flow Rack are estimated at four pallet levels high per bay. Both Selective Rack and Drive-In Rack prices consider floor storage options. Narrow Aisle Rack estimated at eight levels high per bay with wire decks. Carton Flow Racking is estimated at four levels high, 4-6 lanes per bay. 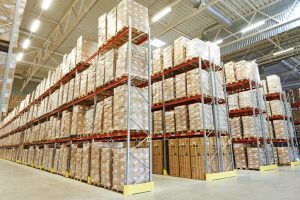 With pallet racking, you can provide your operations with an efficient warehouse storage solution. 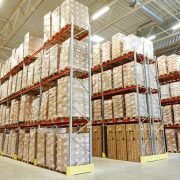 There are many factors to consider when looking for the best pallet racking system for your warehouse. At Cranston Material Handling, our expert team can evaluate your space and help you design and layout a pallet rack system that best suits the needs of your operations. Contact us today to learn more about how we can meet your pallet racking needs.